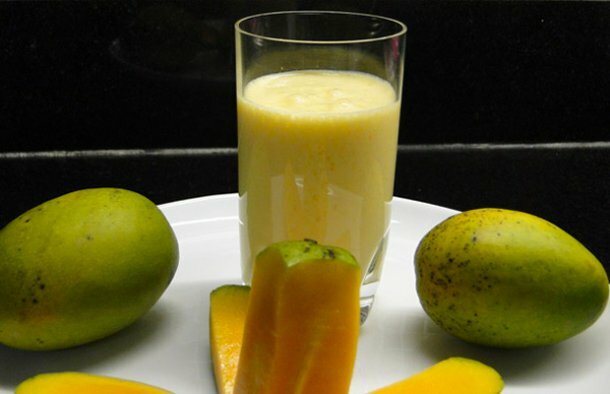 This Portuguese style mango and yogurt shake recipe makes a refreshing and delicious drink. Boil the liter of milk and let it cool until its warm. Add the cup of yogurt and mix well with a spoon. Cover the milk / yogurt container and let it refrigerate for about 8 hours. Add the yogurt/milk and the mangos together in a blender and mix well. Keep it in the refrigerator and serve cool.